From a new GMT to an old one. Well, new, old at least - picked up in the archive sale. My week of different C8s continues. UTC today. 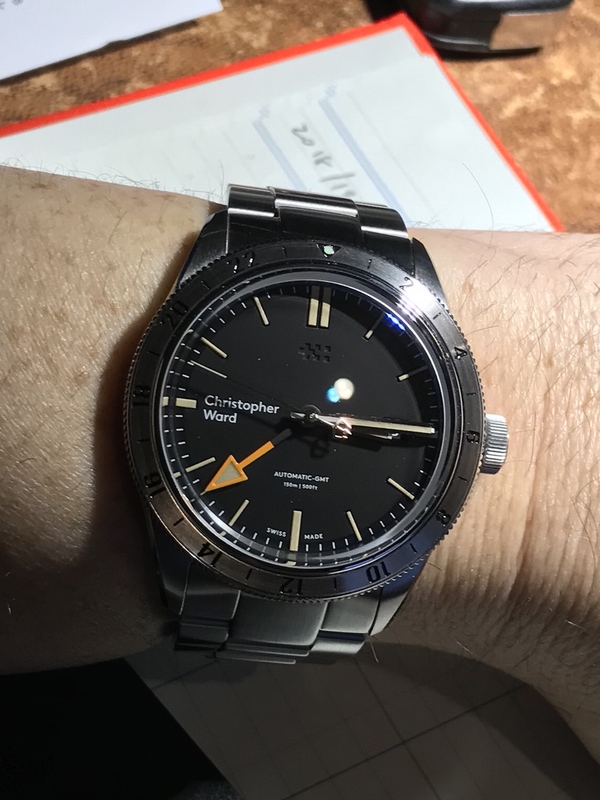 Ttf23 wrote: From a new GMT to an old one. Well, new, old at least - picked up in the archive sale. Well done on picking that one up. Bit of a classic CW. And an original logo version too. smegwina wrote: My week of different C8s continues. UTC today. Apart from the Morgan LEs, this is probably my favourite C8 model. But then, given that you have a weeks worth of C8s secreted away in the attic, it might not surprise me if you have one of those as well. It makes me wonder just how many watches in total are squirrelled away in said attic. I suspect that, like Kip, your garage may be built on a bedrock of watch boxes. Funnily enough Gary, I’d pick this as my favourite C8. Apart from my Blackhawk. I really do like the PR. (The picture hasn’t copied, but I’m sure you get the point!). Thanks both - to say I’m pleased with it would an understatement. Surprising that CW no longer does that colour scheme - not one I’ve seen before and I think it is great. Really smart watch Richard but I'm not sure about the strap (Hirsch Liberty? ), the stitching doesn't work. To chip in, I think the strap does work well, nice pic. I think it looks ok, and it’s definitely comfortable - so it’ll stay for a while. Having said that, I’m still searching for the perfect strap for this watch. 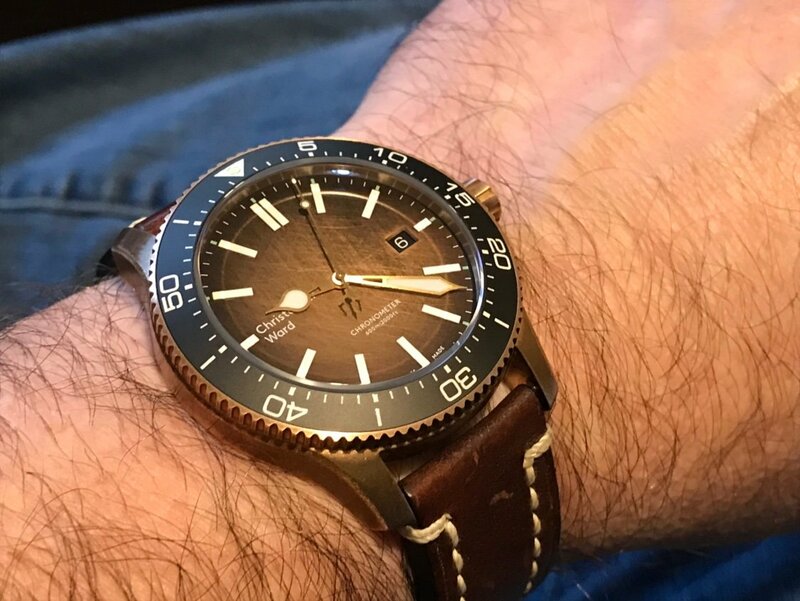 Problem is, a lot of the ‘vintage’ style straps that would suit it are actually 22 tapering to 18 (in vintage style), but the CW bronze buckle is 20mm. 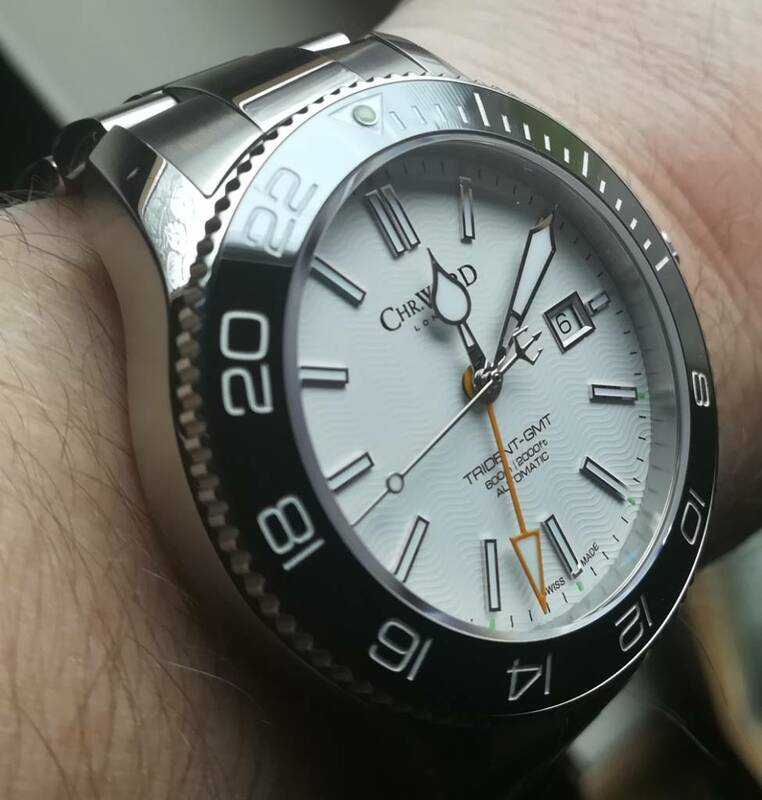 C60 Trident GMT for today.